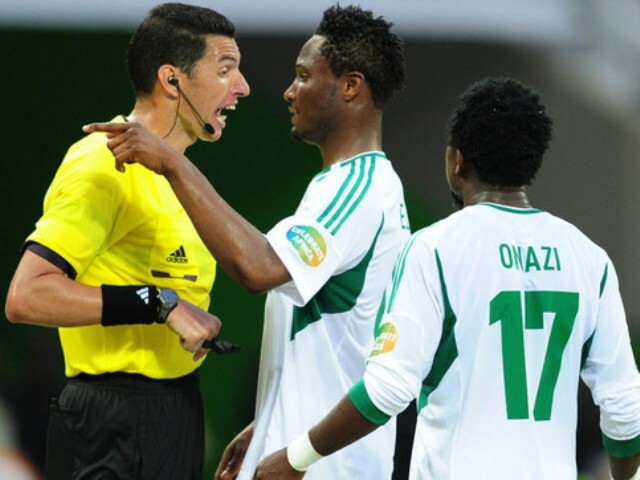 World football governing body, FIFA, has appointed Egyptian Ghead Grisha as referee for the 2018 FIFA World Cup qualifying match between the Chipolopolo of Zambia and Super Eagles of Nigeria in Ndola on Sunday, October, 9 2016. Grisha, 40, has been a FIFA referee since 2008. He will be assisted by fellow Egyptians Tahssen Abo El Sadat Bedyer (assistant referee 1), Ahmed Hossameldin Taha (assistant referee 2) and Ibrahim Noureldin (fourth official). Also appointed is former FIFA referee Zeli Sinko (from Cote d’Ivoire), who will serve as referee assessor, while former Ghana FA president Mahamadu Nuru Deen Jawula will be match commissioner. The match has been scheduled to kick off at the Levy Nwanawasa Stadium in Ndola at 2.30pm Zambia time (1.30pm Nigeria time) on Sunday, 9th October. Grisha, incidentally, was in charge of the 2013 Africa Cup of Nations group phase clash between the Super Eagles and the Chipolopolo, at the Mbombela Stadium in Nelspruit, which ended 1-1. The Super Eagles went ahead to eventually win that tournament. FIFA has also appointed respected Nigerian official, Paul Bassey to serve as security officer for the 2018 FIFA World Cup Group E qualifier between Congo and Egypt, scheduled for the Stade de Kintele in Brazzaville on the same day.